Come and try the craft group who meet each Wednesday morning to swap ideas, work on their current project and help one another with pooled expertise. 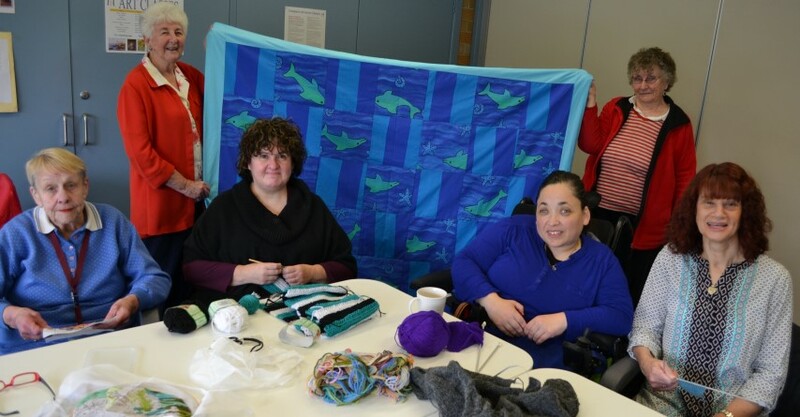 This is a self-help group with a most impressive collection of crafts represented. Quilting, patchwork, embroidery, knitting, crochet and any other needlecraft you can think of can be learned here. Beginners to the gentle arts are welcome to join at any time. There is no tutor as such but the group are anxious to pass on their skills and will show you how to start and help you as you learn.